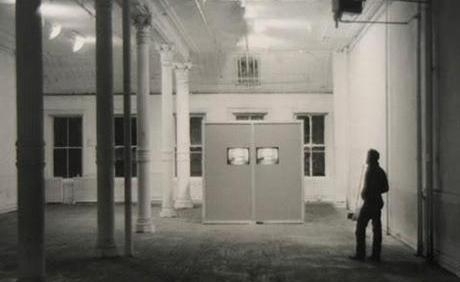 This panel discussion accompanying the OPEN (C)ALL exhibition will offer historic perspectives on the changing landscapes for artists’ work and exhibition spaces since the 1950s. Panelists will include the renowned American art critic and art historian, Irving Sandler, a witness to the 10th Street in the 1950s, an early example of an “alternative” art scene and a center for Abstract Expressionist painters; artist Joyce Kozloff and art critic and historian Max Kozloff, pioneers of the Soho art scene in the 1970s; Walter Robinson, a painter and critic who documented the art scene in the Lower East Side in the 1980s; and Joe Amrhein, artist and founder of the pioneering Williamsburg gallery Pierogi, who will discuss the rise of Brooklyn and Williamsburg in the 1990s. The discussion will be moderated by Paddy Johnson, founding Editor of Art F City and the Arts Editor for The L Magazine.